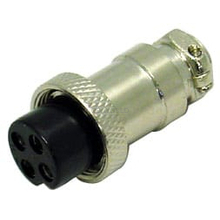 A microphone connector (or microphone plug) can be used to fix or replace a broken connector on your microphone, or switch the pin configuration of your mic so you can use it on a different radio. Installing one of these plugs requires soldering. You will need to know how your radio is wired to correctly install a new mic plug on your microphone. 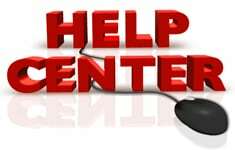 If you are not sure how your radio is wired, send us and email. We can most likely figure it out for you. It is worth noting that the end piece for the right angle connectors can be rotated in the shell so that when the mic is plugged in, the cable is facing the right direction. You don't want it sticking out over your radio controls!